For a limited time, get 20% off Parallels Desktop for Mac at www.parallels.com. Use Mac and Windows applications side-by-side, without rebooting. Bring your favourite Windows applications to Mac—from Microsoft Office to QuickBooks for Windows, Internet Explorer, Access, Visual Studio, AutoCAD, Project, Visio, and more. Quickly switch between Mac and Windows. Bring intuitive Mac features to Windows, or leverage Windows’ best features on your Mac. If you’re new to Mac, you can keep the familiar Windows experience, in full screen. 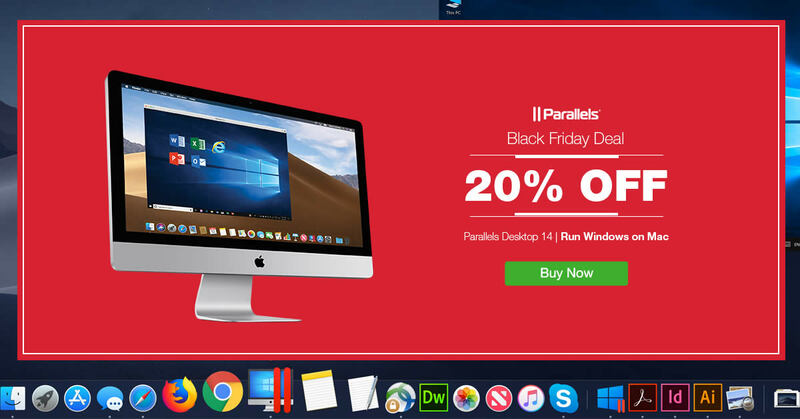 Black Friday Deal—20% off—Parallels Desktop. 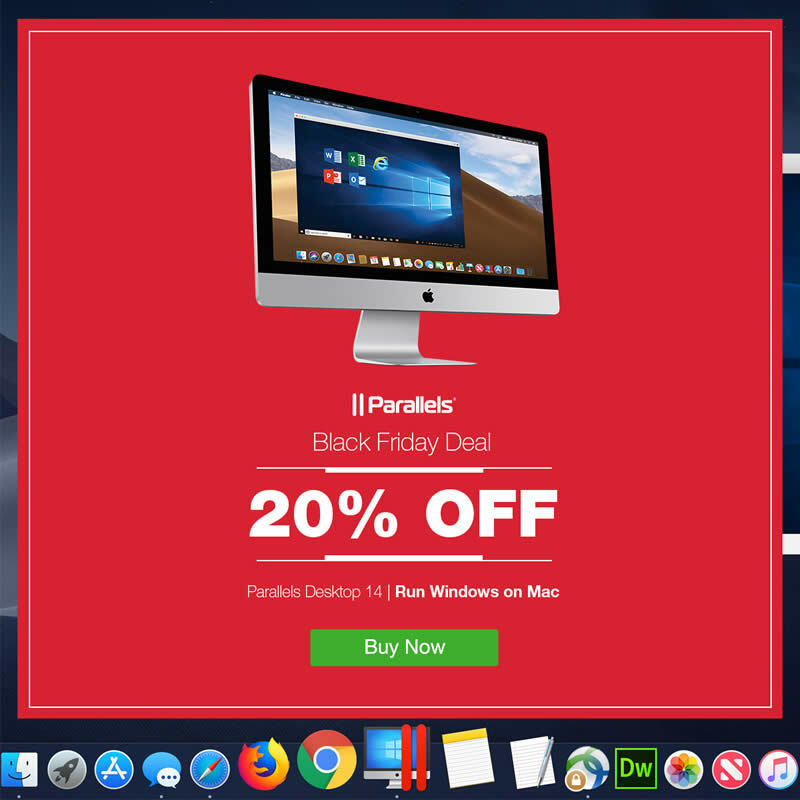 Save 20% on all new licenses of Parallels Desktop: Parallels Desktop Perpetual License, Parallels Desktop Standard Subscription 1Y, Parallels Desktop PRO 1Y and Parallels Desktop Business Edition 1Y. (Discount is valid for the 1st year of subscription only). Only happens once a year! Discount applied at checkout. Designed for the Mac® user who occasionally needs to use a non-Mac application. Designed for users who are switching from PC to Mac®, and the home or student user who frequently needs to use non-Mac applications on a Mac. Simple and easy functionality for the first-time Mac user. 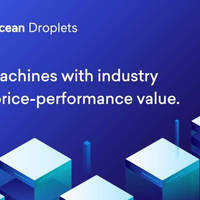 Designed for the developer, tester, or experienced power user who needs the very best performance and extended functionality for running non-Mac applications on Mac®. 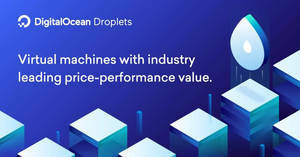 Designed for professionals, teams, and IT departments that manage multiple Mac® computers and need to run Windows® on Mac with the very best performance. For more info, visit www.parallels.com.